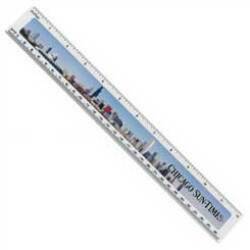 Custom Full Color -Photo Rulers Personalized in Bulk. Promotional, Inexpensive. 6" or 12" long. Budget Prices in the USA and Canada. 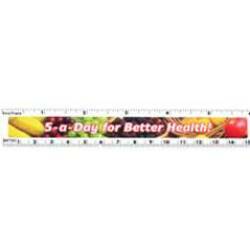 High quality, yet inexpensive promotional Rulers in bulk, custom imprinted in full color. Free artwork design and Free proofs! American clients pay no taxes. Production Time: 7 days; Rush Production of 3 days: add $0.20 per unit. Imprint Area: 5 3/4" x 1/2"
PRODUCTION TIME: 7 days after art approval; Rush 3 day production is available: add $0.20 per item.